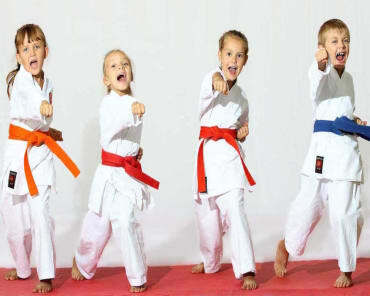 Our Kids Martial Arts program offers students of all abilities and backgrounds the chance to grow and learn every day. We're sharing the art of traditional Wushu with students all across East Mesa. Get started now! Take on our high-energy circuit training with the best Group Fitness Classes in Mesa. We're helping men and women of all experience levels find success. Take the first step or learn more today! Tai Chi is regularly referred to as "Meditation in Motion". 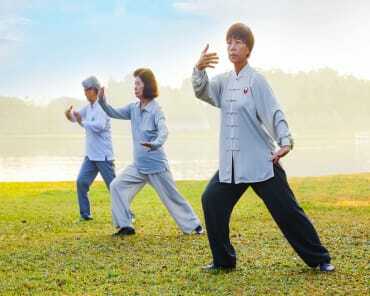 People of all fitness levels find Tai Chi to be a pleasant experience because of how easily this martial art is to adapt for each individual. There is also research that indicates it can aid in injury prevention and healing. Get Started Today! I had been looking for an activity for my kids, and we saw a Wushu demonstration from AWA at their school. The kids couldn't stop talking about it for the rest of the day. I called Mrs. Shea and got them a trial class and they were hooked! We love seeing how excited the kids are to go to class and what they learned that day. The progress has shown to be beneficial with their school work and personal relationships. More recently my husband and I started their Group Fitness / HITT classes, which is not only really good for us, but FUN and such a different way of working out! Sifu is great with helping kids and adults figure out their skill level and help them achieve their goals. I can't say enough good things about AWA! !